© Rachel Cooper, licensed to About.com, Inc.
Union Station in Washington DC is hosting Earth Day events featuring interactive, eco-friendly experiences to raise awareness of environmental issues and encourage sustainability. As a historic landmark that attracts travelers from around the globe, Union Station is an ideal setting to spread a message of sustainability and conservation to worldwide audiences. In addition to the scheduled events, exhibitors from across the country will be on hand to highlight their own green initiatives, programs and events. Earth Day at Union Station is hosted by Earth Day Network and presenting sponsor NASA. The event will feature NASA scientists and astronauts, real time uplinks to the International Space Station, and exhibits from Amtrak, Washington Gas Energy Services, the Human Rights Campaign, and NOAA. Events are free and open to all ages. Date and Times: April 21 and 22, 2016, 10 a.m.-5 p.m.
Union Station is located at 50 Massachusetts Avenue, NE. Washington, DC. It is located on the Metro’s Red Line. See a map. Onsite parking includes more than 2,000 spaces. Earth Day events will be held throughout the building. Earth Day Network’s mission is to broaden, diversify and mobilize the environmental movement. EDN coordinates Earth Day, mobilizing over one billion people in 192 countries every year on environmental challenges impacting our health, quality of life and the natural world. Year-round, Earth Day Network is a leader on environmental education and green school buildings. Earth Day Network also plants millions of trees worldwide – in the places that need them most – and works to expand the emerging green economy and protect natural lands. For more information, visit www.earthday.org. 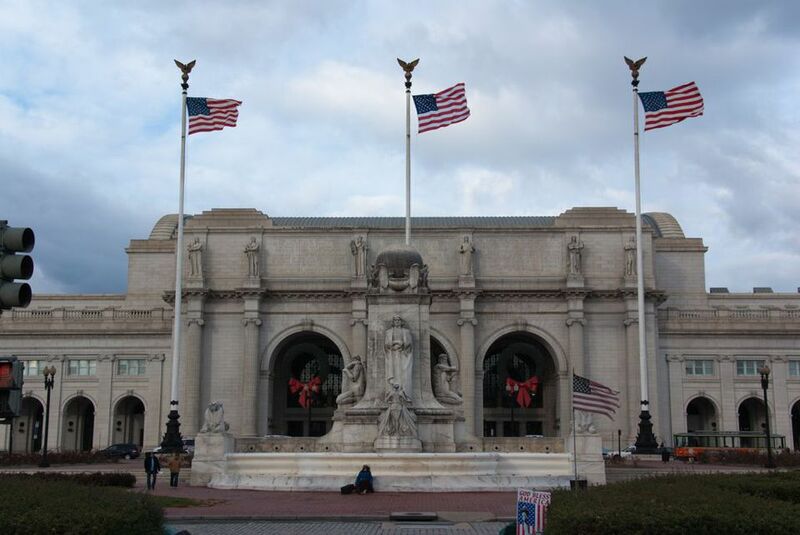 Celebrate Christmas at Union Station in Washington, D.C.
Ways to Celebrate Earth Day 2019 in Washington, D.C. Serve Your Local Community in Honor of Martin Luther King Jr.